Thank you for your interest in CMCSS Pre-K programs. CMCSS will host multiple pre-kindergarten application opportunities for families. Students must be 4 years old on or before August 15, 2019 to be enrolled in Pre-K for the 2019-20 school year. Families will be asked to provide documentation to determine if they meet the income requirements set by the state. Pre-K classes will be filled using the guidelines set forth by the State of Tennessee for Voluntary Pre-K.
All application events will be held at CMCSS Central Services South, located at 1312 Highway 48/13, Clarksville, TN 37040. Wednesday, April 10 from 9:00 a.m. to 4:00 p.m.
Tuesday, April 9 from 12:00 p.m. to 6:00 p.m.
Wednesday, April 24 from 10:00 a.m. to 6:00 p.m.
*Spanish interpreters will be available Thursday, April 4 and Thursday, April 11. You will be required to bring the child’s birth certificate and any of the documents listed below that are required to verify student eligibility. 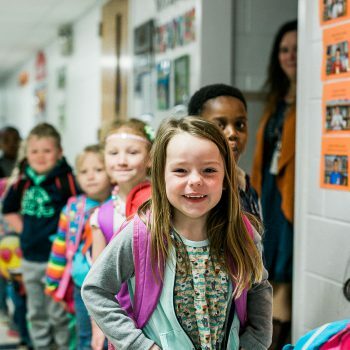 Students must be 4 years old on or before August 15, 2019 to be enrolled in Pre-K for the 2019-20 school year. Families will be asked to provide documentation to determine if they meet the income requirements set by the state. 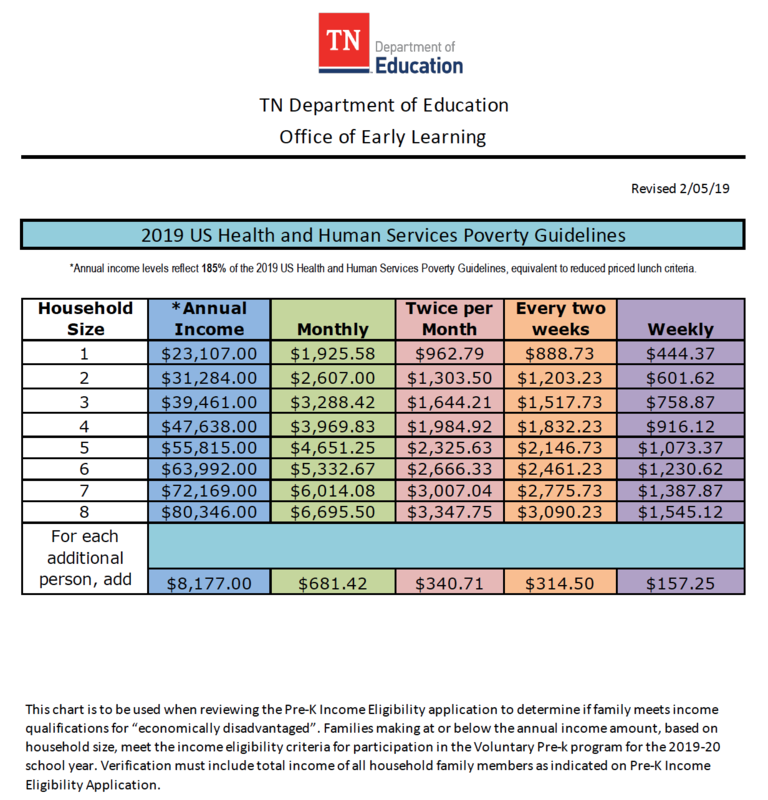 Pre-K classes will be filled using the guidelines set forth by the State of Tennessee for Voluntary Pre-K.
For more information on Voluntary Pre-K in Tennessee, a grant-funded program with eligibility based on family income, please visit https://www.tn.gov/education/early-learning/voluntary-pre-k.html.